As the moniker “Wonder Pig” suggests, Esther is kind of a big deal. The 650-pound pig has 464,000 Instagram followers and a bestselling book to her name. Her Canadian owners, Steve Jenkins and Derek Walter, brought her home in 2012 thinking she was a miniature pig who wouldn’t grow larger than 70 pounds. When that went out the window, they kept her anyway and turned her into a social-media star. Now, they’re facing an unexpected battle: Esther has breast cancer, and the Canadian government won’t allow her to undergo chemotherapy treatment. 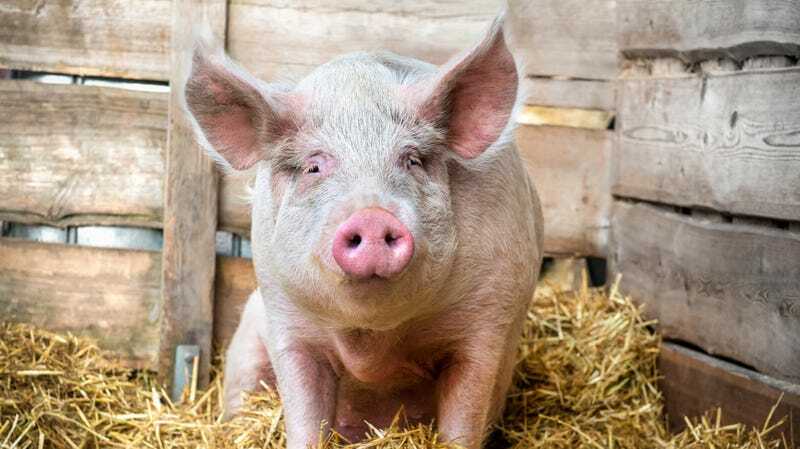 Her owners posted on Facebook that they were told it’s “illegal” to administer chemo to any animal that the CFIA (Canadian Food Inspection Agency) considers a “food animal.” Esther, a swine, is considered legally a food animal and thus cannot receive treatment. She already underwent surgery after a scan—which required her owners to raise $650,000 to bring a giant veterinary CT scanner to Canada—revealed she has cancerous tumors. Jenkins and Walter stated they found out about the law when they took their other pet, a chicken named Anne, to the hospital and asked vets there to treat her for leukemia.